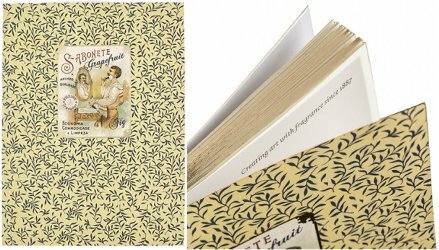 In case you prefer to keep your fragrance notes on paper: the Barbear Grapefruit Fig notebook from Claus Porto. "Claus Porto’s notebooks pay homage to the brand’s vast archive of designs that inspired its world-famous vintage packaging. Crafted in Portugal, this medium-sized softcover notebook is lightweight and perfect for people who are always on the go but are not willing to give up on elegance. Featuring the pattern and label of Barbear Grapefruit Fig, it’s the perfect travel companion for registering all your thoughts and scribbles." $21. A coffret with 10 ml bottles of all five Claus Porto Agua de Colonia fragrances: "The essence of Portugal in five timeless scents created for Claus Porto by perfumer Lyn Harris. Agua de Colonia is [a] collection of fragrances that expresses the beauty of Portugal’s magical landscapes, from the pine forests of Comporta to citrus groves by the Douro river." $95 at Claus Porto. 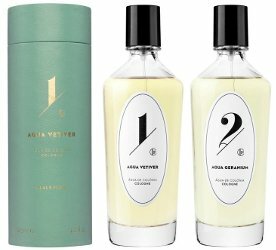 Five quick (and pretty) videos from Claus Porto, with perfumer Lyn Harris talking about their new Agua de Colonia fragrances: Agua Vetiver, Agua Geranium, Agua Fougère, Agua Clementine and Agua Porto. 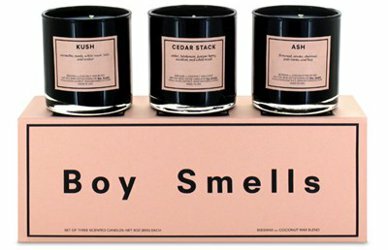 Part five in our annual series of fragrance related holiday gifts features scented items for men, although there are plenty of “unisex” ideas in the other articles, and as always there are probably a few things here that women might like. Do add any of your own recommendations in the comments!